Puts you in charge of your HD video library. Is there a better alternative to Cosmos? Is Cosmos really the best app in Author Tools category? Will Cosmos work good on macOS 10.13.4? Cosmos is the video manager you always wanted. The perfect partner to iMovie and Final Cut, Cosmos takes care of your videos so that iMovie and Final Cut can be used for what they do best - editing. Cosmos is tuned to managed large quantities of High Definition video. It does this by importing your video footage from your camera without conversion. This makes Cosmos the fastest importing video manager around. Cosmos pulls in your videos as fast as your camera can copy them off. Version 2.5.0: Release notes were unavailable when this listing was updated. Cosmos gives you two handy ways to manage your videos - Groups and Albums or Keywords. Groups and Albums let you organise your videos in a folder structure while Keywords let you tag your videos however you like. Cosmos gives you the freedom to work your way. Cosmos has two great ways to browse your videos - Filmstrip and Poster. The Filmstrip view shows you 5 frames from each movie so that you can instantly find that clip you are looking for. Cosmos generates these filmstrips in the background for all clips, so browsing is super-fast. No waiting around for previews to generate with Cosmos! 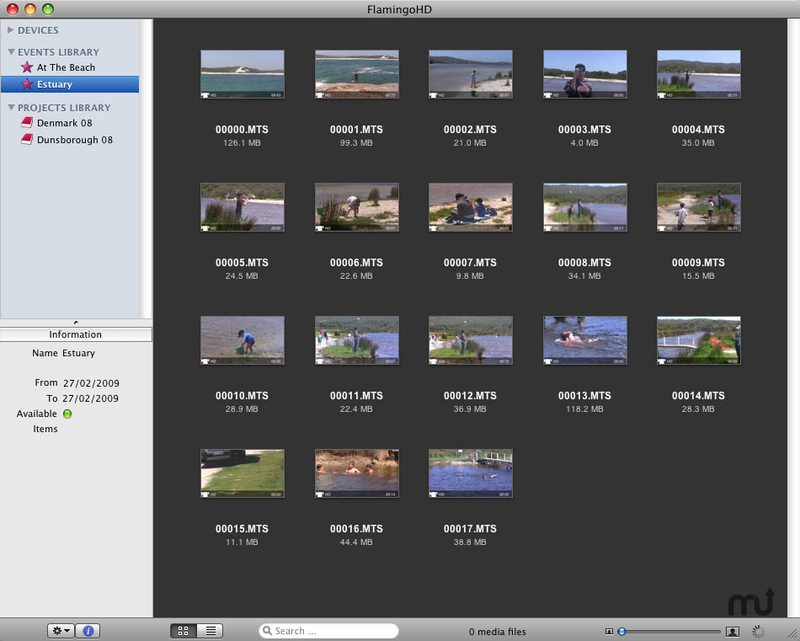 When you are ready to edit, simply send your videos or entire Albums to iMovie or Final Cut. You will need VoltaicHD if you have AVCHD movies to send. As well as being a great video manager, Cosmos is fully equipped to manage your photos. This is especially handy for combo cameras that shoot video and photos. Cosmos can be your one-stop-shop for holding all of your photos and videos.